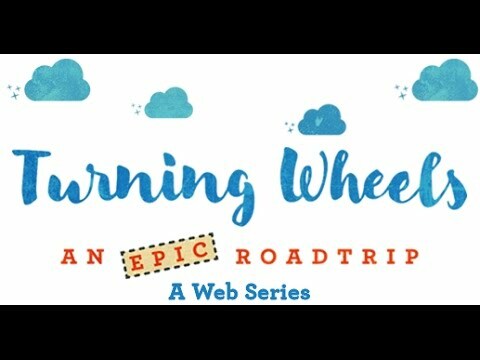 Turning Wheels is a 7-part travel web-series featuring persons with disabilities. Travel enthusiasts, overcome by wanderlust, with their dreams to explore the world beyond – from famous tourist spots (to infamous ones), exhilarating adventure sports, delicious local delicacies and immersing in the powerful experience of incredible India on a one-of-its-kind road trip. With Turning Wheels, we explore the India-scape, with a unique perspective. Through personal stories and heartfelt experiences, we get to see, through our travelers that their disability is in fact, not a barrier. As we watch them fulfill their unaccomplished dreams, we break the stereotypes and dogma around disability and start a much needed dialogue on accessibility, inclusion and living your dreams, no matter what it takes, said Ruchi Bhimani. Three Persons with Disabilities get onto a road trip with two able-bodied travel buddies. Noteworthy point here is despite their disability, riders have a verve for adventure – ziplining, river rafting, para sailing. Turning wheels will be taking six selected differently-abled persons for a total of 21-22 days trip during September/October 2017, depending upon the weather condition. The biggest barriers that persons with disabilities face is the prejudice and misbegotten perspectives of people around. Why do we imagine that disability is a barrier to have fun, or fall in love, or pursue a profession – or travel to a dream destination. Turning Wheels, while launching into a fun-filled road trip with persons with disabilities, disrupts these preconceived notions that disbelieve the immense potential that lies in each of us – disabled or not. Turning Wheels opened up for crowdfunding on Wishberry in early December 2016. The crowdfunding platform allows to share the project with a larger community, that can help build momentum towards having a more involved dialogue around disability and travel. They have raised close to 1.5 lakhs. They are expecting to raise 18 lakhs. Through their campaign, Turning Wheels will also be reaching out to the communities of travel enthusiasts to conduct a nationwide search for persons with disabilities, to be a part of the road trip. Apart from raising funds, crowdfunding also allows the project to reach out to like-minded alliances, who can become potential partners for the project. In the course of her decade-long career, Ruchi has been part of several landmark films like Rakesh Sharma’s Final Solutions and Q’s Love in India. In 2010, she came into her own as a producer, with Anand Gandhi’s debut film, Ship of Theseus. She has been awarded the International Producer Fellowship at the San Francisco Film Society in 2015, and is also named a Future Leader Producer by Screen Daily at the Cannes Film Festival 2015. She is also a co- producer on the much-awaited documentary film, An Insignificant Man, by Vinay Shukla and Khushboo Ranka. Faraz Ansari is an award-winning filmmaker, whose early journey began with landmark films like Fox Star’s Stanley ka Dabba and Karan Johar’s Gippi! He has directed & choreographed a two hours concert with 500 children of Besant Montessori, Juhu, which was used as the climax song of Stanley Ka Dabba, and has also choreographed several song sequences for Gippi! His directorial debut short film Siberia, premiered at the prestigious London Asian Film Festival, 2016 and has travelled over 30 international and national film festivals. He is also the writer- director of the much-awaited film, Sisak, India’s first silent LGBT. They are looking for travel partner and knowledge partner. People can donate by going to the below link.